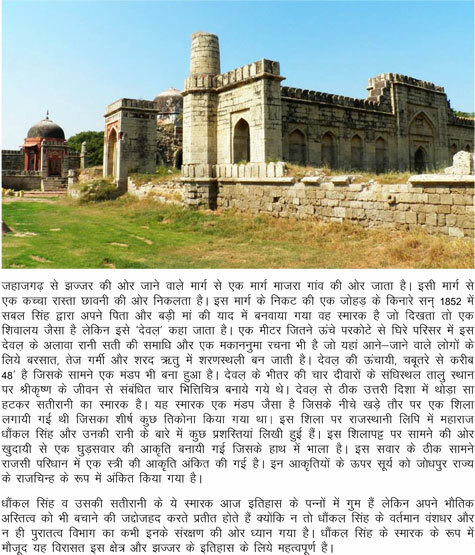 Tragic love story and monuments of Bua and Hasan: This story began sometime in the Sher Shah Sur reign on Hindustan. One of his chieftains was awarded the Jagir of Jhajjar (Haryana). Bua was the name of his beautiful daughter who had fell in love at first sight with Hasan, a brave soldier in the garrison at Fort Jhajjar. The Chieftain came to know about it and sensing that it was not a kind of alliance as per the status wished to get rid of Hasan. Soon he got a call to participate in a battle on behalf of Sher Shah and thought it was an opportunity. He despatched a contingent of troops with Hasan as Head. As providence would have it, Hasan got killed and when the news reached Jhaajar, Bua fell in grief and died after a prolonged self-isolation in a chamber in which none was allowed. She had relinquished all pleasures and food. But before she breathed last, she had got built a fine mausoleum in memory of Hasan. It is a fine structure of dressed stone of Gypsum facing the East. 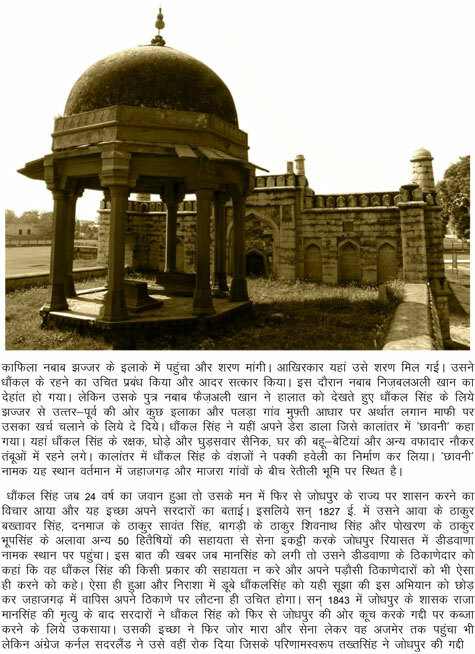 When Bua died of grief, his repenting father found no solace but as a measure of mending the wrong doing he ordered that a fine masonry tank in the name of Bua be built adjacent to the Tomb. 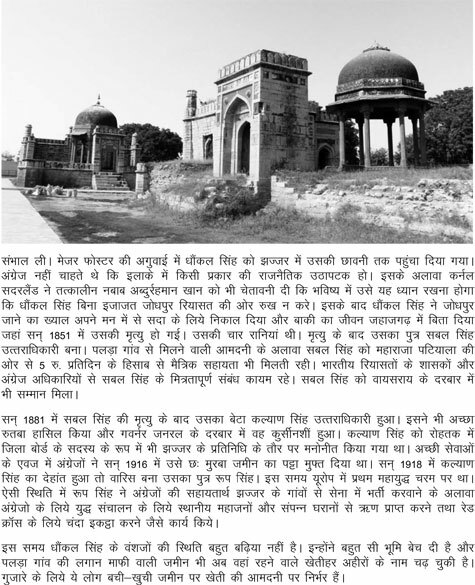 Both have existed in Jhajjar now for over 450 years. 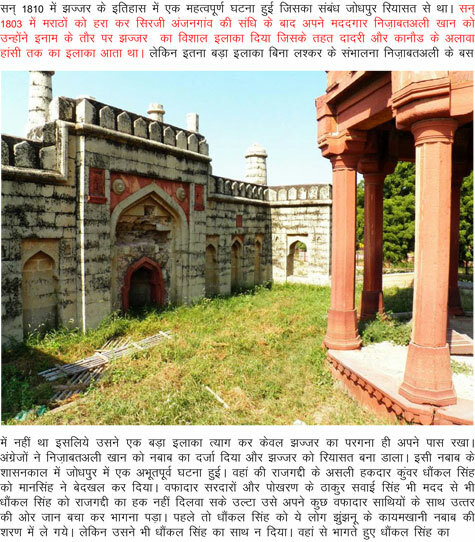 Whereas the structure of the tomb still hold some charm, the original decor of the tank was spoiled by the district administration in the name of beautification. These photographs depict the original design and texture of the monument and taken sometime in the year 1996. Hope friends find the story interesting and I am amazed as to why some Bollywood producer has not produced a feature film on the story.